ISO certified and brand names. We modify our products to suit the specific requirements of our customer at the time of executing the order (For, step-up, deep freezer, inverter, UPS, etc......…). We provide 24 hours service and 24 hrs consulting facilities at all our branches and service centers. If you do not get satisfactory service for our products and within 24 hours you may contact our head office on our help line no- 04829-282040, 283160. 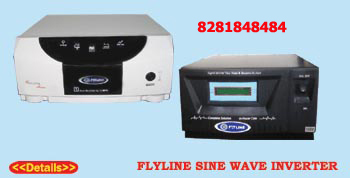 Product is murickens group's registered brand name flyline & MG of electronic & electrical product's. which are marketed exclusively by our branch net work. Our customers are always assured of a dependable after sales service -even after the warranty period.